The project covering 186 km2, lies approximately 60 km west of the Éléonore mine. The Annabelle project is covered by the volcano-sedimentary rocks of the Opinaca geological subprovince. 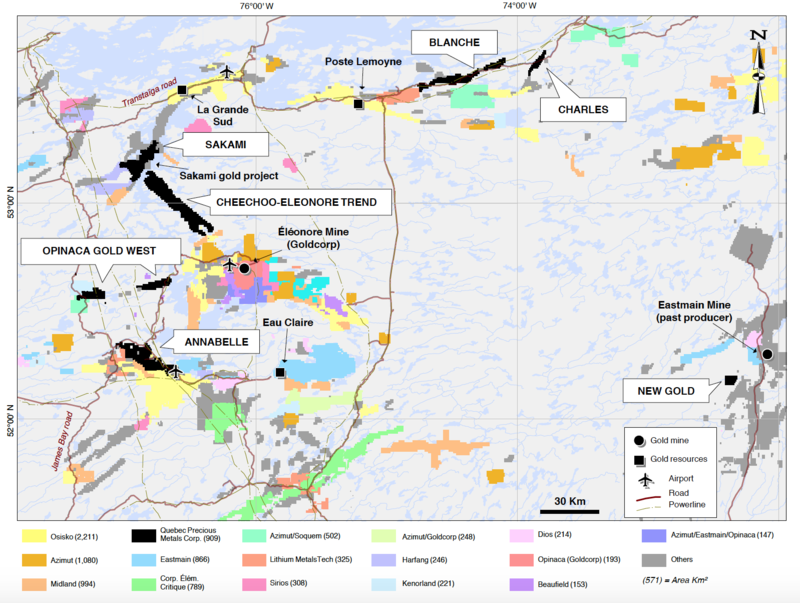 The Annabelle project is located about 65km west of the Eastmain Resources Eau Claire project and approximately 40 kilometers west of Goldcorp Eleonore gold deposit, in Quebec, James Bay. The large project is clearly under-explored, but always showed a strong mineral potential. The main reason of the limited work was due to the unfavorable economic climate of the past few years. The discovery potential is related to the greenstone belt geological settings covering the volcano-sedimentary sequences and intrusions of the Opinaca sub province.